Revelling in the car crash that is the Kardashians has never been my thing. 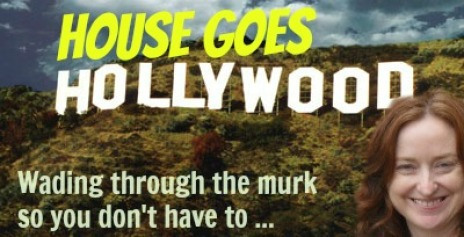 Watching the way they’ve dominated the tabloids with their D grade antics has made my eyeballs rattle over the years. The couple of two years married on Saturday in Florence, Italy, at the 16th-century Forte di Belvedere in front of 600 of their closest family members and friends, including Chrissy Teigen, John Legend, LaLa Anthony, Lorraine Schwartz, Q-Tip, Jaden Smith and more. Er, who are these people? I must be getting old. The E! network just released some exclusive wedding photos, as per above. Click here for the rest, including their Just Married matching leather jackets (oh, yes). Among the scandalous no-shows was Kim’s younger brother Rob, who flew out of Paris, France, a few hours ahead of the ceremony after having a row with Kim. The festivities kicked off last Friday, with brunch at designer Valentino‘s castle, followed by a rehearsal dinner at the Palace of Versailles, where Lana Del Rey performed. Valentino president Giancarlo Giammetti snapped the pic above of the bride and groom addressing their guests at the rehearsal dinner. Then the guests flew to Italy for the ceremony itself. 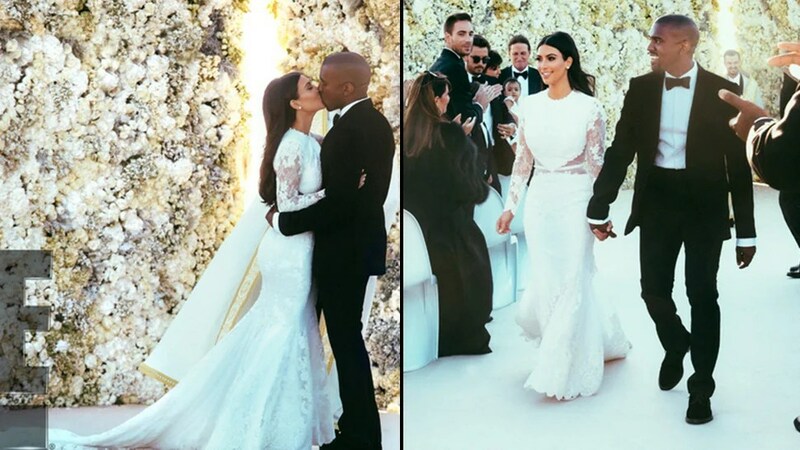 The couple were married in front of a wall of flowers that echoed Kanye’s Mother’s Day gift to Kim, beside a white grand piano. More than $100,000 worth of floral arrangements were included in the ceremony, from one of Florence’s oldest flower shops, Fiori Della Signoria, including tuberose flowers. The happy couple and their daughter all wore custom Givenchy (designed by close friend Riccardo Tisci – check out the wedding dress here: pic.twitter.com/q6gHaqeCdo) and were serenaded by a opera singer Andrea Bocelli and an orchestra. 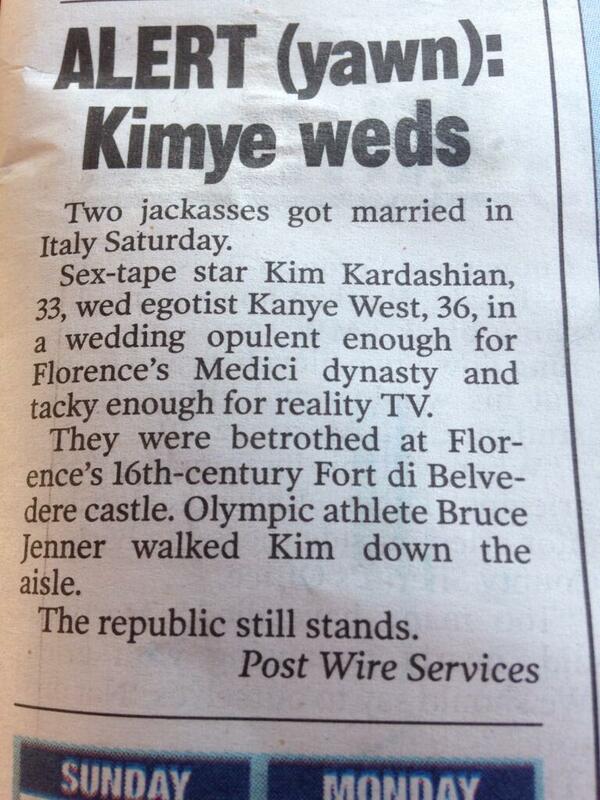 Bocelli sang “Con te Partiró” as the bride walked down the aisle on the arm of her stepfather, Bruce Jenner. Kim’s bridal party consisted of sisters Kourtney, Khloe, Kris, Kylie, Kendall. Khloe shared an Instagram photo of the view over Florence from the ceremony, captioning it “E vissero felici e contenti…”, which is Italian for “and they lived happily ever after”. 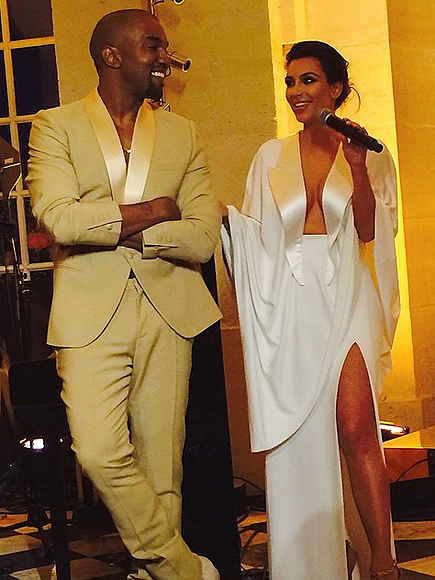 Kim and Kanye danced to 2014’s wedding anthem, John Legend‘s “All of Me.” Unlike most couples, however, John Legend was there himself to sing the hit song. Kanye also rapped for the crowd during a mashup of Etta James‘ “At Last” and Otis Redding’s “These Arms of Mine” and “Tenderness”. The menu had a pink theme and included chicken, steak, salmon, tortelloni and both rosé and gold Armand de Brignac Champagne. The wedding cake was a towering seven-foot white cake with fruit layers. At one point, he called the Kardashian family an “industry” and “the most remarkable people of our time” who can “make the world a better place.” Huh? After dinner, guests took happy snaps in a photo booth with the happy couple, then partied until long after 1am. 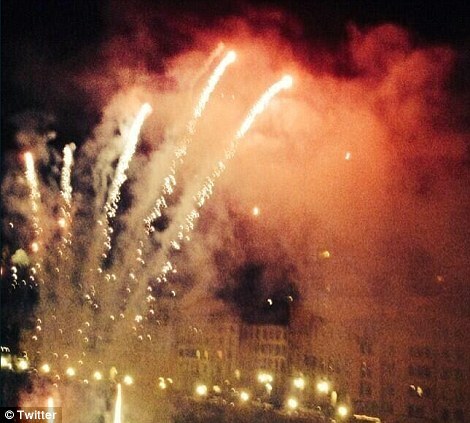 The town was also treated to a massive fireworks display in the couple’s honour. The happy couple have since reportedly flown to Cork in Ireland for a 5-day honeymoon. The Mirror reports the couple are staying at a five star estate in Munster: “Rumours were rife on Twitter that the A listers are currently holed up in the posh Castylemartry Resort. 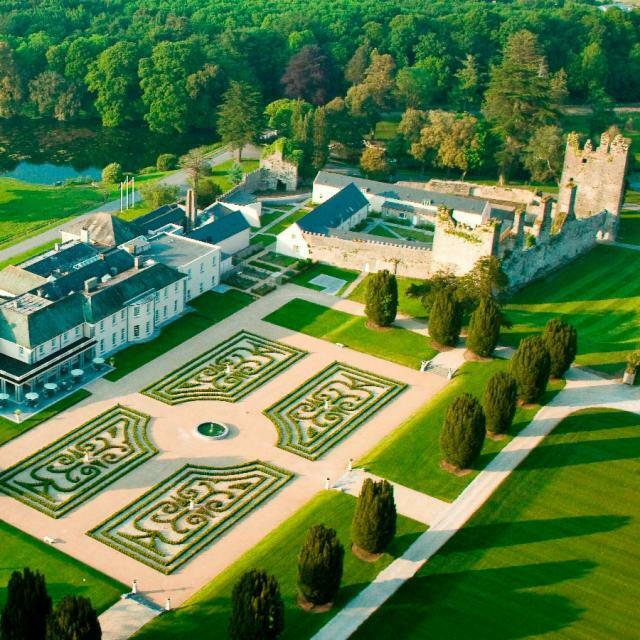 “A spokeswoman told the Irish Mirror that the Presidential suite, which costs €2,750 for a night, and all 10 of the rooms in the 7th-century Manor House have been booked up. 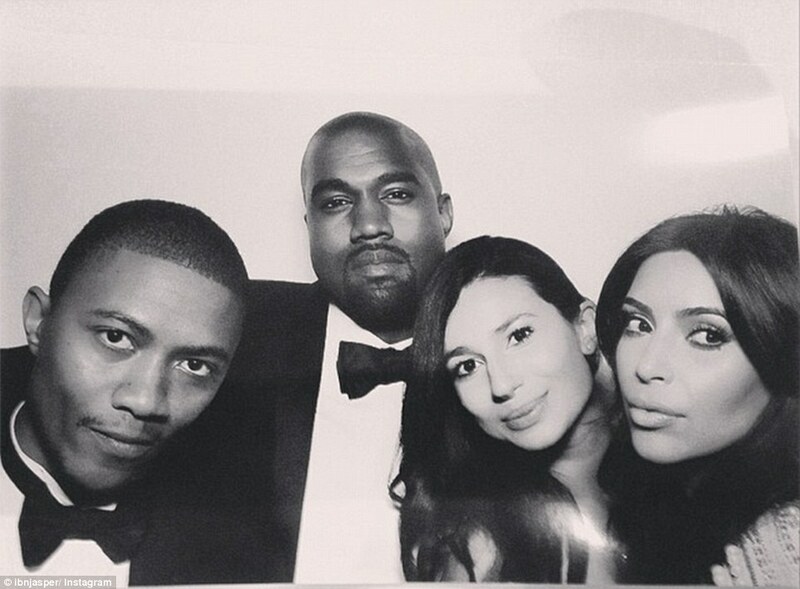 This entry was posted in CELEBS and tagged Kanye West, Kim and Kanye, kim kardashian. Bookmark the permalink. I should be ashamed…but I love it…I keep flicking from my desk job to check out more updates. I know I know…hang my head..but I love reading about the K family…but then I also love Lara Bingle…there is something wrong with me I think. Verdict on White Batman, Jess? Brat..but I love him too…and he has form..he wore a superhero outfit before I remember (my brain full of such essentials)..wouldn’t you love to know those kids…Will’s offspring seem extremely bizarre…I can’t wait for them to grow up and spill the beans on their life..